You might have heard that Data Scientist was ranked as the best job of 2017 in the USA (based on Glassdoor’s research). Recently many IT professionals have started considering shifting their career path towards Data Science or Data Analytics. University students are looking for data related internships – even if their major is unrelated. And even project and product managers want to learn data analytics basics to make better data-informed decisions. Are you interested in learning more about the basics of data analytics too? Then this article is for you! I’ll just summarize the most fundamental topics for first timers. Note: If you have questions or suggestions for expanding this article, feel free to ask in the comment section below, and I’ll answer! Why is Data Science/Analytics important? 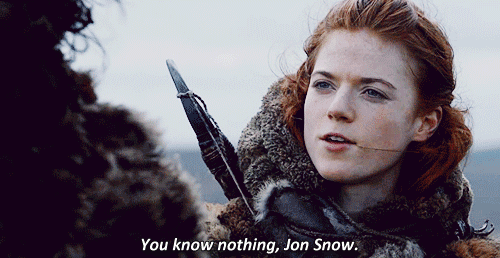 We know nothing either. Without data at least. After all, the only real answer for the “Why do you think this is the best strategy?” question is: “Because this is what the data suggests.” And an important way to learn exactly what the data suggests is to do data analyses. To be a fully featured data professional, you have to be good at all three! I don’t think I have to explain why Statistics is important. Data is about numbers – and when you are working with numbers, you have to be confident with statistical and mathematical concepts. Coding skills are required because the data you will work with is often hard-to-access, broken, messy, has missing values and so on. Fix these things in an Excel spreadsheet… well, not so easy. Coding will give you full flexibility, so it’s a must-have skill if you are seriously thinking about getting familiar with the basics of data analytics. Domain knowledge and business thinking is a soft factor, but just as essential as statistics and coding. If you don’t have the business sense, you won’t be able to evaluate whether your data project makes a difference or not! Data Coding – What languages to learn? Note: it’s possible that as a data analyst you are not coding at all, but using smart tools like Google Analytics, Heatmapping tools, and A/B testing tools instead. Still, I strongly recommend that you learn to code. In this article I’ve summarized the pros and cons: Data Coding vs. Smart Tools. SQL is a super-simple query language. It’s well structured and easy to interpret. I think that learning the basics of SQL for Data Analysis could happen in net ~15-20 hours (that includes a fair amount of practicing too). If you are interested, here’s a free 6-article tutorial series: SQL for Data Analysis ep#1. Python is easy to interpret and easy to learn as well, but much more complex than SQL. Of course, that’s not the only difference between the two languages. I won’t go into details here, but let’s just say that Python is better for certain data tasks and SQL is better for others. When it comes to Python, it’s really good with scientific things, like predictive analytics and machine learning. It’s not an accident that it’s one of the most widely used languages by data scientists. Learning the basics of Python can take a bit more time (~100 hours for reaching a solid, but not yet advanced level.) If you want to get started, here’s my Python for Data Science series: Python for Data Science ep#1. R is really similar to Python – just a little bit more challenging to learn. It’s originally developed by Statisticians for Statisticians, and as a consequence you can feel the twisted (but pragmatic) logic. R’s learning curve is steeper, but once you have learned it, you will see that it’s the most advanced language for complex statistical tasks. Note: to be honest I barely use R, because Python serves all of my needs in my data projects. What does your step-by-step data science learning plan look like? How much time will the learning process take? Where to learn? How can you practice? Should you really go to university? What’s the right mindset for a Data Analyst? How can you learn about business thinking? How will you get your first data analytics related job? If you want to get answers to all these questions (and more), check my short (but sweet), free online video course: How to Become a Data Scientist! I hope this brief summary gave you a good overview about the basics of data analytics. If you have questions or suggestions for expanding this article, feel free to ask in the comment section below. And read about the 4 untold truths of learning data science here. Does it mean 20 hours plus 100 hours (the time it takes you mentioned to learn the 2 languages) ? Is it good enough for me to find an entry level data science job ? or what else do I need to learn to qualify myself to find the first job in the field ? thank you. yes, the Math BSc. is a good foundation for further data science aspirations. And yes, the next two steps would be SQL + Python and yes, that would leave to an entry/junior level position. how I can be differentiate between data analytics and data scientist? if you are going for Data Analytics is that necessarily to learn toll which comes under machine learning, data visualization, and data warehousing , like Hadoop , tableau , Raw and many mores? I am Post Graduate in Mechanical Engineering. I have 9 years of teaching experience in Engineering College. Is it easy to shift my carrier to data scientist by learning SQL/Python. and how much effort I need to do for getting sufficient knowledge in this area. hi Dileep, sorry for the long reply time. I have a question. I’m a finance graduate with 9 years experience in treasury operations. I would like to learn analytics which will be helpful in my current role. for example financial analytics. Could you please guide me? Hi I am pursuing my bachelor degree in industrial engineering I knew some kinds of statistical techniques I would like to learn some more techniques which will helpful for my career.I don’t have much knowledge in the field of coding.could you guide me? sure: I’d suggest to start with the SQL tutorial I linked in the article. My name isVictoria I have a Bachelors Degree in Office and Information Management. It is basically a busines course and with less IT but my passion is Business Analytics. I know nothing about coding but I would love to go into this field. What would you advise me to do? Stats and the rest can come later — but learning these languages will give you an idea if you would enjoy this field. 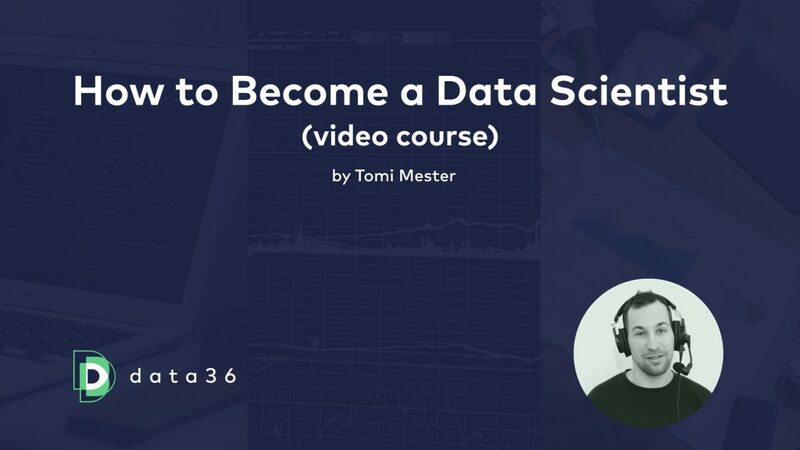 I’ll release a new (free) video course soon, where I give you more details and practical advices on how to become a data scientist! Currently I am doing a Data Analyst job, for my better carrier is there any extension tools. i am in confusion what i have to learn.